Can I tell you a secret? It’s not something I’m proud to share with you. I’ve never taught science before. Never. Not ever. Sure, when I was student teaching I “taught” it. I don’t remember teaching any part of it in fifth grade. When I student taught in first, it was inquiry based and so a lot of it I didn’t feel like I was actually teaching. I found books and lead students in discussions. But I didn’t have strong objectives. Now that I’m teaching third, I realize that has to be different. I’m teaching science and my partner is teaching social studies. We are getting FOSS kits coming in, but they don’t necessarily align to our standards, and they just sort of show up and disappear and I haven’t wrapped my ahead around that yet. So before the year even started I set my mind to starting with the scientific method. That way, I wasn’t necessarily relying on the perfect kit coming in. So, I just needed to start there. Easier said than done. I started searching for the perfect things to start. I knew Kristen from A Day in First Grade had fantastic resources and experiment ideas. And while I found fantastic experiments and ideas to use in the future, I also knew that my students needed a little more work on forming questions, hypotheses, and conclusions based on experiments than her firsties need. So, I started looking for resources that I could use in addition to hers. 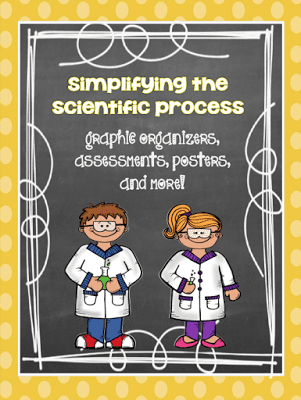 Ashleigh has this fantastic resource for teaching the scientific method! I’ve used it to teach the process and to delve deeper into many of the steps. I’m also using her posters in my room. 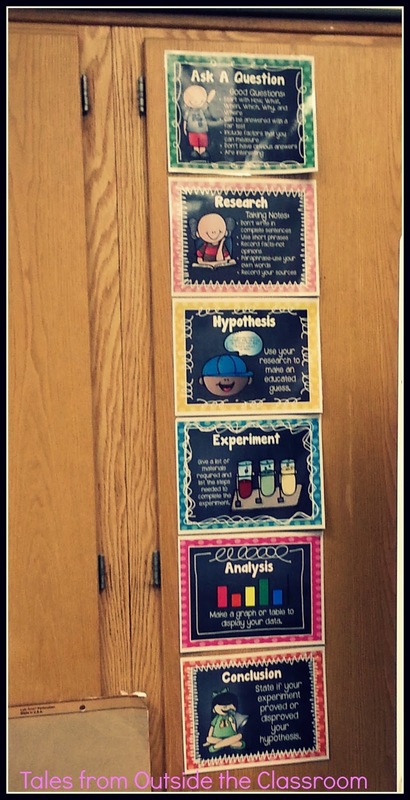 The first day we did science, we went through the scientific method and I made them take notes on each step. I think we don’t do enough guided note taking with our middle grades students. The next day, we went through the questions and experiment sequences from Ashleigh’s pack to delve deeper into each area. We then needed to run through an experiment to get the kids interested and engaged in what we were doing. This time, I looked to another friend for assistance. Enter this Eggsperiments pack from Ginger Snaps! We did her Egg Squeeze experiment (while I modeled! We don’t need egg splattering across the room). It was a success! And, today, the kids were ready for a bit more independence! Enter this fabulous Milk Experiment! I got this from Kristen a while back and knew I wanted to do this one early on since the kids have a basic understanding of there being fat in milk and soap combating fat. 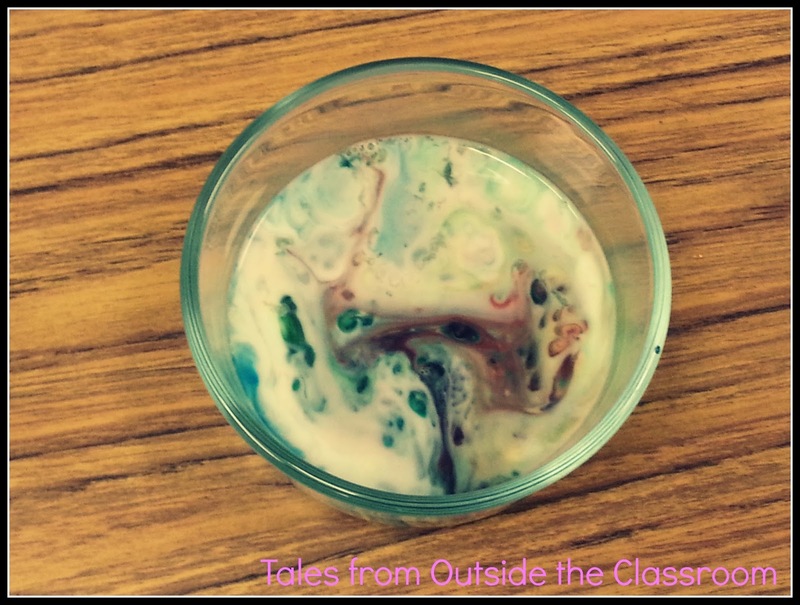 I don’t think ours resulted exactly the same way, and I think we put the food coloring too close together, but the kids could definitely see the intended reaction. I knew I wanted my students recording more throughout this process. I wanted them to build a hypothesis before the experiment. I wanted them to write a supported conclusion. And I wanted them to use that conclusion and their new knowledge to transfer the information to a different experiment: What would happen if we mixed soap with skim milk? So, I created this recording sheet for them. I hope you like this freebie! 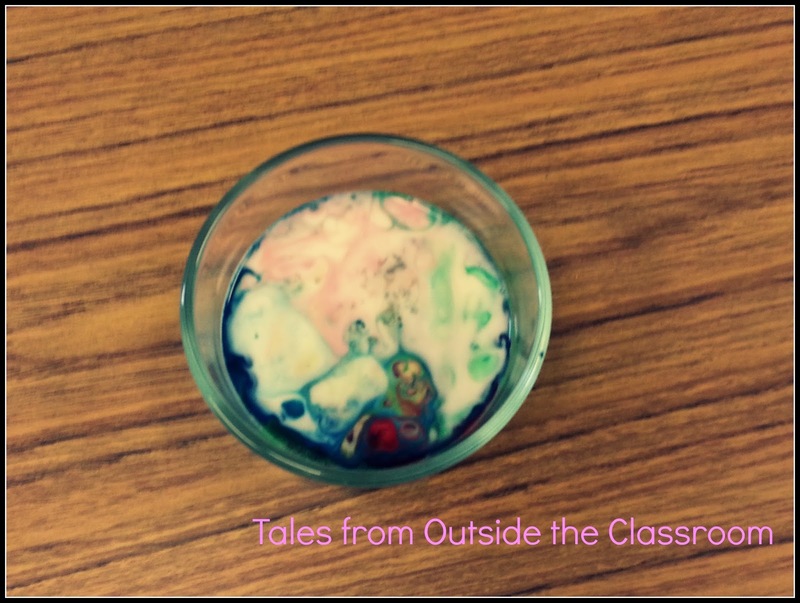 It really is a great experiment to introduce to your class. One of my kiddos said “Miss Maguire, thank you for doing that experiment with us.” It warmed my heart! Perfect! I love doing fun experiments in the beginning of the year to introduce the scientific method. This milk one will be perfect! Thanks for the freebie! I'd also like to read more about your guided note-taking. Do you all write the same thing? Yes, I talk about it and write it down. I tell students to follow my format. I told them that we needed to practice taking notes about what we're learning. They have a science notebook that we'll use throughout the year. I just started following your blog; I really like! Thanks for this freebie, it's a gem. I must say, I love that you're teaching your students how to take notes. Are there various methods and outlines that you'll introduce them to? Will they be given the chance of choosing which method or outline to use eventually? At this time, they're just copying what I'm writing. At some point, I want to use the text features of their content area textbooks and walk them through note-taking. That's about as far as I've gone right now.